People often ask me what kind of groceries I buy. I personally love checking out others’ shopping trips, so this comes as no surprise to me. It’s interesting to see what other people purchase and how much they pay for groceries in their area! I thought it would be fun to share my shopping trips every once in awhile, so you can get a glimpse into how I shop and what kind of things I regularly (and not so regularly!) buy at the grocery store. *Note: This is not all of the groceries I buy in a week. I also get a weekly delivery of veggies (about 15 items) from a local farm, and also stop in at the health food store once, mid-week, for more fresh fruits & veggies. I also purchase things like nuts, quinoa, frozen fruits and coconut water from Costco twice per month. 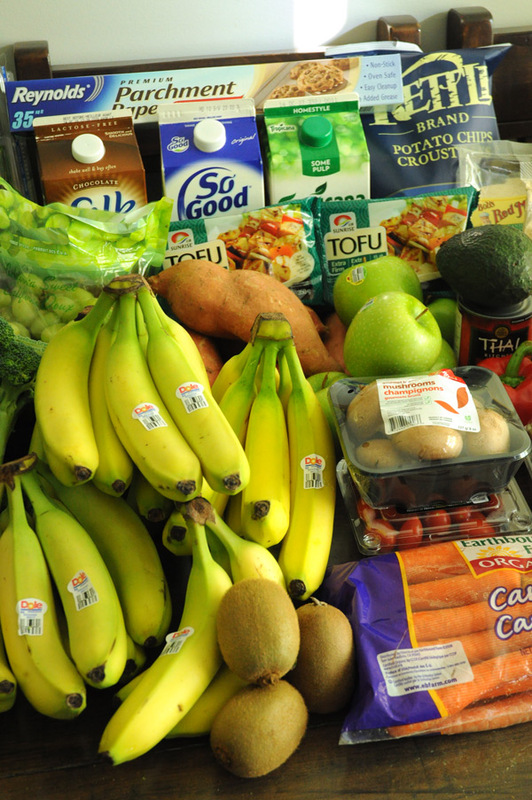 My Grocery Shopping Trip This Week My Grocery Shopping Trip This Week My Vegan Groceries This Week Is It Expensive to be Vegan? Do you shop at a regular grocery store or a specialty one?? Both. I also shop at Costco. Hi Sandy,Thanks for your visit! I’m honored that my post has touched you in such a way. If you go back to my previous posts in my blog, you’ll see a previous post I made about the same topic of “information overload.”It’s a killer, Sandy. If you’re not careful, it will totally consume your life & leave you in a state of helplessness & utter despair.Please come by again, as this is the focal point of this blog, to stamp out “information overload.”Hang in there, Sandy. Focus on something you’re interested in, and see it through to the finish! I just found your blog through FB not too long ago! I love your vegan recipes! 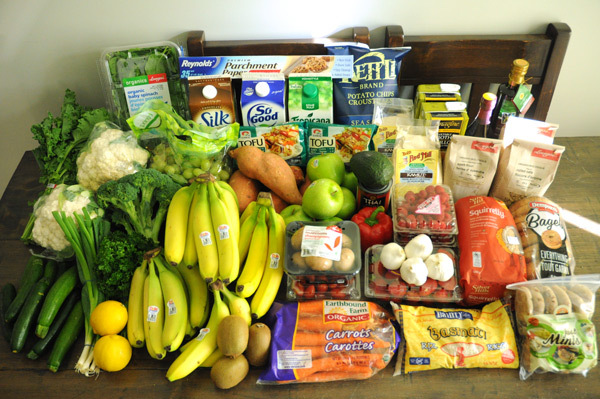 This is a great post about “taking a peek” inside someone’s grocery shopping! I did a post on my own blog a while back about how I shop and restock once a month!